The wedding was so wonderful this weekend. together again and spending time with everyone. discuss a book that I recently revisited. 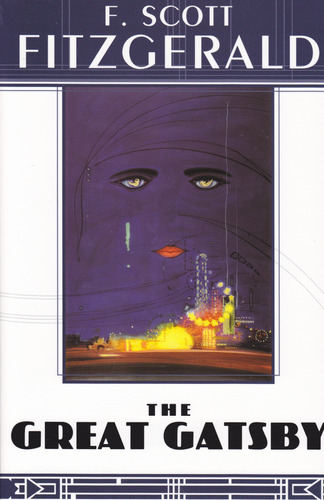 Last week I reread F. Scott Fitzgerald's The Great Gatsby. recently found my old copy from senior year in high school. It had been assigned as summer reading, we needed to annotate it. annotating a book meant, and didn't bother to look it up. Reading the first couple of pages was torture for twenty-four year old me. and wondered what in the world I had been thinking. Very little of it made any sense. When I was not stating the obvious, I was underlining random sentences. anything, save for the sake of "annotating" the book. to ignore sixteen year old me's comments on nothing. stayed in my memory, so I no longer had any idea how it ended. the reason why the story was forgotten. At first, I liked the story. I liked Fitzgerald's voice and tone. Then we met Daisy, she is selfish and vain and annoyed me from the start. I remember having more sympathy for her and her situation in the past. just as much during this read, I didn't hate Myrtle this time around. And I certainly did not feel sorry for Daisy. Gatsby's inability to ask a direct question or favor of Nick annoyed me as well. at what they'd like, and then acting surprised when they got it. I picked up on different things in the story. or that have at least escaped my memory. everything that he built himself to be was for Daisy. whoever was most interested in her at any given moment. missed the entire concept of Gatsby being such a tragic character. making them no better than the ash heaps they think so lowly of. And at the end I felt disappointed. All signs pointed to an unhappy ending, I knew it was coming. It was just sad to see how after all of it, Gatsby had no one. unaffected as if nothing had happened, what Gatsby? human nature, we just word things differently. I love this book. I'm dying to see the movie that comes out soon!